A thriving car sales company has celebrated the first anniversary of its Leek Road showroom by investing in further growth. 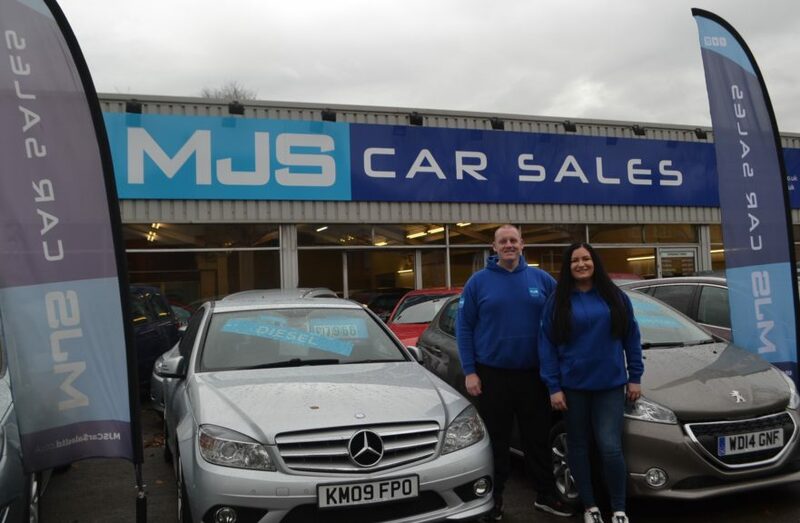 MJS Car Sales has extended its indoor showroom in response to demand for its cars. The business was founded by Michael Smith in 2016, with the support of partner Vanessa Fuller, a Director of local accountancy firm, Premier Tax Solutions. After renting space in the Leek Road showroom, MJS took on the whole of the premises in autumn 2017. Michael said the business initially had around 10 cars for sale but a reputation for quality and value for money, backed by a strong marketing strategy has driven growth and the dealership now has over 70 cars in stock. The business has strong branding and signage and works with Stoke-on-Trent based Click Dealer to support car sales online. MJS holds a Financial Conduct Authority (FCA) licence which means it can broker finance for customers with a large choice of loan providers including household names such as Moto Novo and Blackhorse. The company is aiming towards sales of more than £2 million a year in sales which would lead to further investment in high-end vehicles. For more information on MJS, please see www.mjscarsalesltd.co.uk.